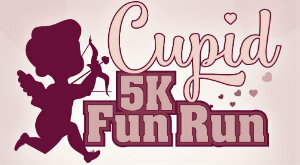 Cupid is in town and will be visiting Whitney Mesa on February 10th. Run or walk along the Whitney Mesa Trail with your loved ones. The first 350 participants are guaranteed a t-shirt and a medal. The Whitney Mesa Archery Range will be open from 10am-noon and free for all registered 5k participants.